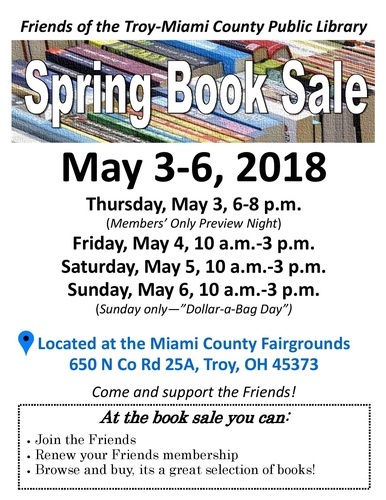 Semi-Annual Friends of the Library Book Sale to benefit the Troy-Miami County Public Library. 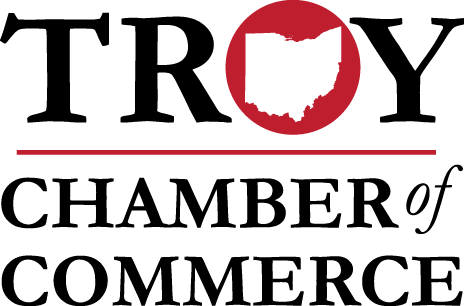 Memberships can be purchased at the door. $5 for an individual; $9 for a family A membership is good January 1- December 31. Sunday - $1.00 per bag (bag is provided) Specials are half off the marked price.